In other matches, Alaverga were given the weekend off as they celebrated a 3-0 walk-over win against Leo Duros FC. Week 19: Basah Loh Na and El Sueno battle to high scoring draw in Week 19! There were 3 matches played over the weekend of Week 19 in the PSB Academy Saturday Premier League. Basah Loh Na took on El Sueno in the first match at Yio Chu Kang Secondary School. While Basah Loh Na were victorious in the league the previous weekend, El Sueno were returning to football action after over a month’s break! 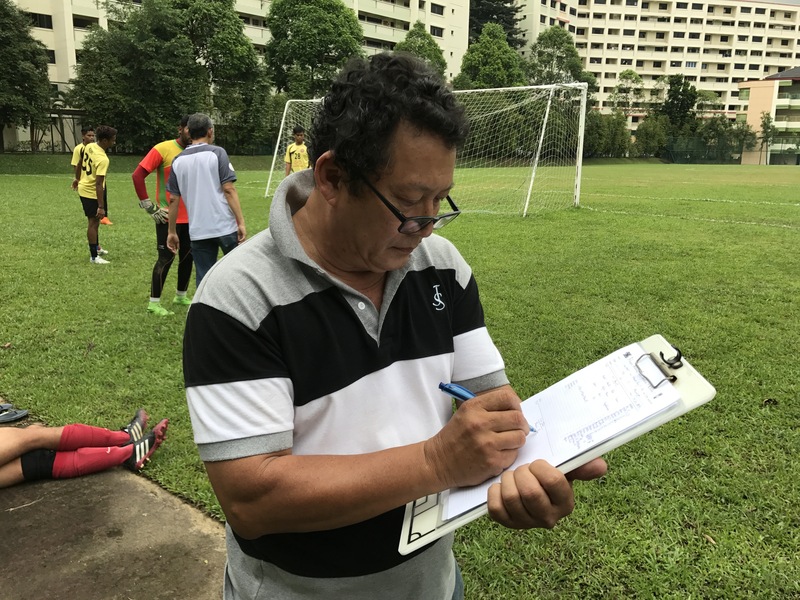 It was no wonder then that Basah Loh Na held more control of the football in the early exchanges as their opponents took time to rediscover their touch. Zulkainai aka Atam was the star player for his team as he hit 5 goals to lead Basah Loh Na’s charge. 2 further goals from Sol and it seemed El Sueno were dead and buried. However the reigning X-Cup champions showed their pedigreee and would not surrender the match. They eventually levelled the score to earn a point as they marked their return to the league with a deserving draw. Final score: Basah Loh Na 7-7 El Sueno. 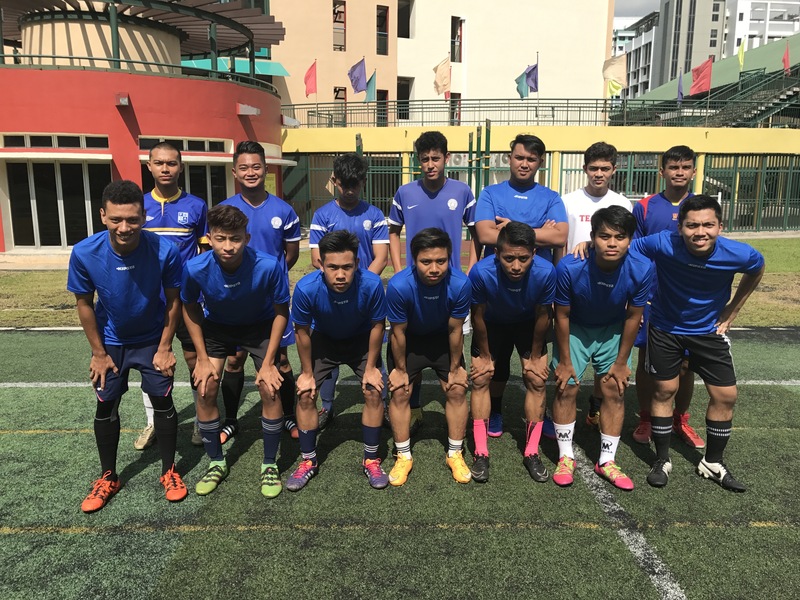 Over at Sembawang Secondary School, Alaverga played Knight Riders, hoping to continue a run of successive league wins. Knight Riders on the other hand were desperate to arrest a worrying string of results that have affected their league position. It was a cagey start to the game as both sides tried to maintain possession and create chances to take the lead. Eventually it was the home side that took the lead with a beautiful strike. And it was one way traffic from then on. Alaverga netted 5 more times to finish off the match with a 6-0 scoreline as they registered a third consecutive league victory. The final match of the day featured Liverton United against AC Milan Juniores. The 3pm kick-off took place at Peirce Secondary School and it was reverse fixture for the tie played earlier in Week 5. It was AC Milan that was victorious on that day with a 4-2 score line and they were hopeful of doing the double over their opponents. Liverton however had other ideas as they were hoping to secure a good result after Week 18’s insipid performance against Alaverga. Both sides had their chances in the game and both keepers were duly tested. The breakthrough came courtesy of a clinical strike from the Liverton forward as they raced to an early lead. Despite AC Milan’s best efforts, they were unable to contain their opponent’s waves of attacks and were penned back by further goals by the home side. Liverton ended the match with 9 goals without reply as they secured a comfortable win and avenged their earlier loss to AC Milan Juniores. Week 18: Away comforts for Basah Loh Na & Alaverga in Week 18! 2 matches kicked off at 3pm on Week 18 of the PSB Academy Saturday Premier League. 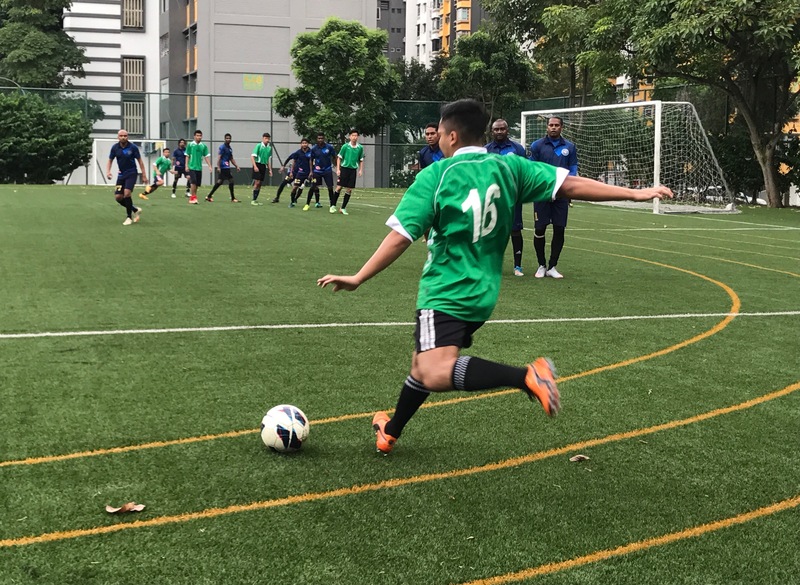 The first match was between Newton Heath FC and Basah Loh Na at Sembawang Secondary School. The match promised to be a cracking affair between 2 very strong teams. And it certainly did not disappoint. It was the visiting Basah Loh Na that started the brighter of the 2 sides. However it was the hosts that drew first blood with an early goal to take the lead. It did not take for Basah Loh Na to draw level as they struck thru Mohammad Johan aka Joe. The Basah Loh Na forward was on top form as he added 3 more goals in the match. Zulkarnai aka Atam (2), Nurman Saini aka Man, Dzul and Zai added further goals as Basah Loh Na ran riot on the Newton Heath goal. It finished 9-2 in favor of the hosts as they picked up a comfortable 3 points in the league. Week 17 of the PSB Academy Saturday Premier League saw 2 matches being played at the same time over the weekend. AC Milan Juniores hosted Alaverga at Peirce Secondary School after not been in league action for the past 5 weeks. 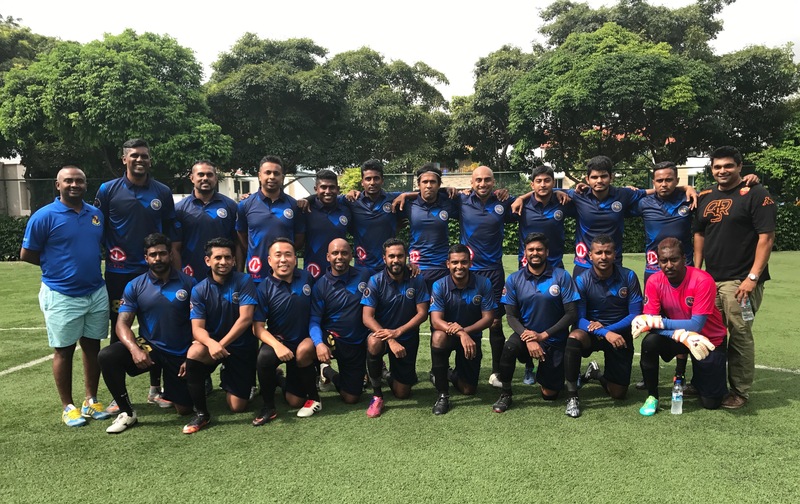 Their opponents were no pushovers either as Alaverga were victorious in their Week 16 match against a strong Basah Loh Na side. The match started brightly for the visitors as they took advantage of their host’s match rustiness. Alaverga was relentless and peppered the visiting team’s goal with numerous efforts. Once, they scored their first goal, it was all one way traffic. Despite the home side’s best efforts, they were unable to stop Alaverga adding to their scoreline and went on to concede 2 further goals. It ended with a victory for Alaverga with the scoreline of 3 goals to nil. 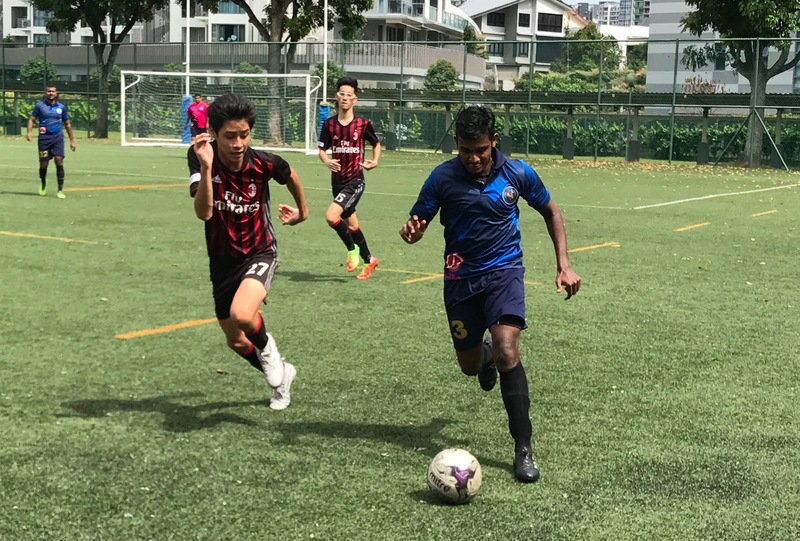 Over at Sembawang Secondary School, El Sueno came up against Newton Heath in the first ever match-up between the 2 sides this season. With both clubs not in action the previous week, they were eager to get the ball rolling in Week 17. The two clubs had their chances in the match and both goalkeepers were tested throughout the game. El Sueno’s 2 strikes in the match were cancelled out by 2 fine goals from Newton Heath’s forwards and it ended 2 apiece as both sides had to be contented with a single point. Week 16 of the PSB Academy Saturday Premier League saw only a single match being played. It featured Alaverga and Basah Loh Na and it was held at Sembawang Secondary School. Alaverga were on a high after recording a convincing win over Knight Riders the previous weekend. And they started the brighter of the two sides. However, it was not long before Basah Loh Na exerted their class over the encounter. Mohammad Johan aka Joe was the standout player as he netted a hat trick for the visitors. Zulkarnai aka Atam and Irfan were also on the scoresheet for Basah Loh Na who went on to register a 5-3 victory. The only blot on their fine performance was the dismissal of Ateh Terry who received a straight red card for a dangerous foul. Week 15: Alaverga bounce back to winning ways! There was only a single match played in Week 15 of the PSB Academy Saturday Premier League. 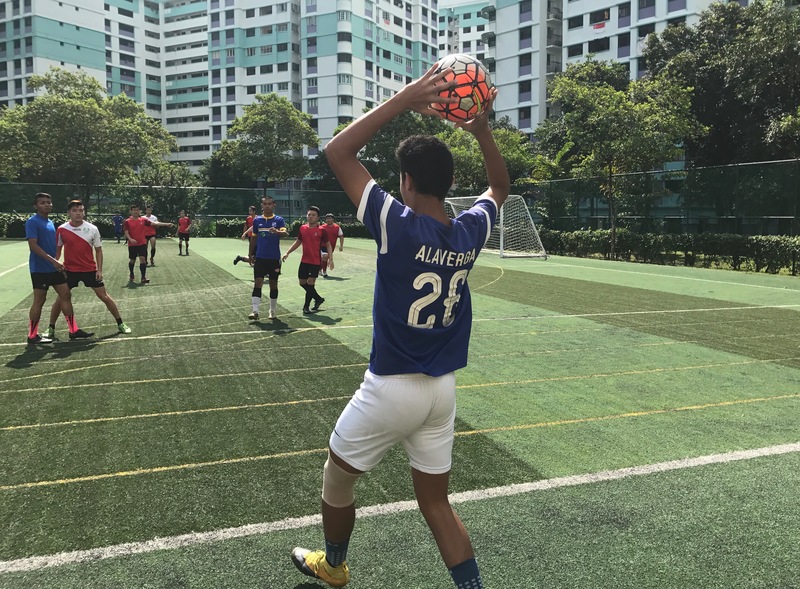 Sembawang Secondary School saw the match up between Knight Riders and Alaverga in the 3pm kick-off. Both clubs were coming off recent league defeats in Week 14 with Alaverga having gone through their heaviest league defeat thus far by the score of 14-1. With much at stake in the game, the match started out brightly with both sides going on the offensive. Each team took turns to test the opposing keeper and try to garner the lead. It was to be Alaverga’s day, as they proved more lethal in front of goal. They struck 5 times to finish the game as worthy 5-1 winners and condemn Knight Riders to a second loss in consecutive weeks. Week 14: Basah Loh Na return with a bang! 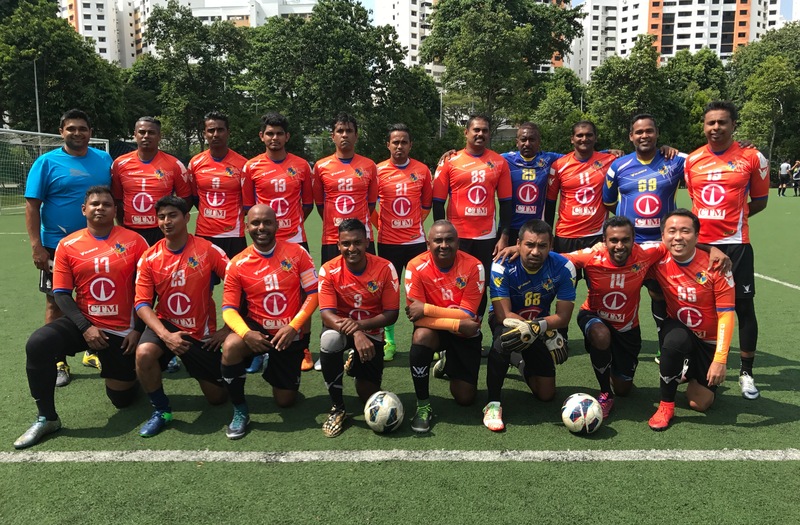 After a lengthy break due to the fasting month, PSB Academy Saturday Premier League resumed in Week 14 with 2 matches taking place. In the first match at Peirce Secondary School, Knight Riders took on Liverton United FC. The 2 new additions to the X-League showed some rustiness from their time away from the field of play with a slow start to the game. The tempo of the game grew after the first goal was scored. And it was to be Liverton’s day as they outscored their opponents by 5 goals to 3 to pick up the valuable win. Week 13: AC Milan & Liverton extend unbelievable win streaks! The proposed league match between Newton Heath and El Sueno scheduled for Week 13 of the PSB Academy Saturday Premier League was postponed to a later date. Both Liverton Utd and AC Milan scored easy 3-0 walk-over wins over their opponents for “No Shows” taking their win streaks to 6 and 7 respectively. Week 12: Liverton Utd make it 5 in a row! 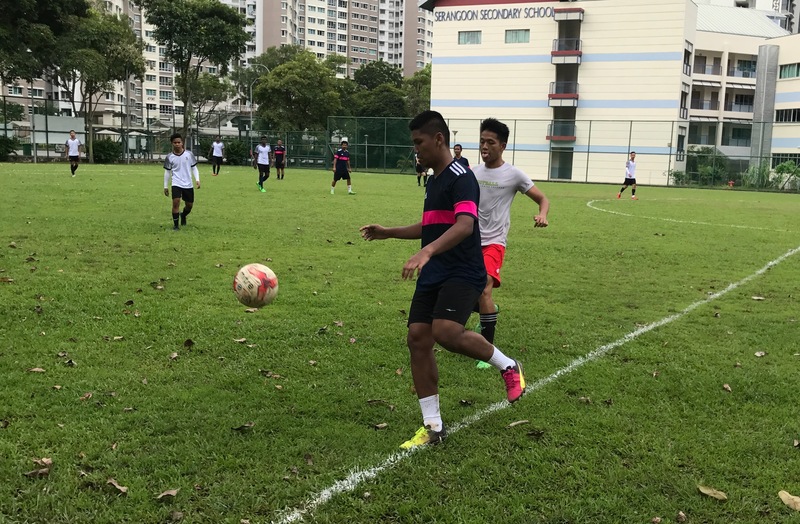 Liverton Utd brought their win streak to 5 in a row this week when they narrowly beat Newton Heath 3-2 at Yio Chu Kang Secondary. Goals from Govi and Man of the Match, Ramesh Eswaran sealed all three points for the away side who now move to within 1 point of league leaders Basah Loh Na. 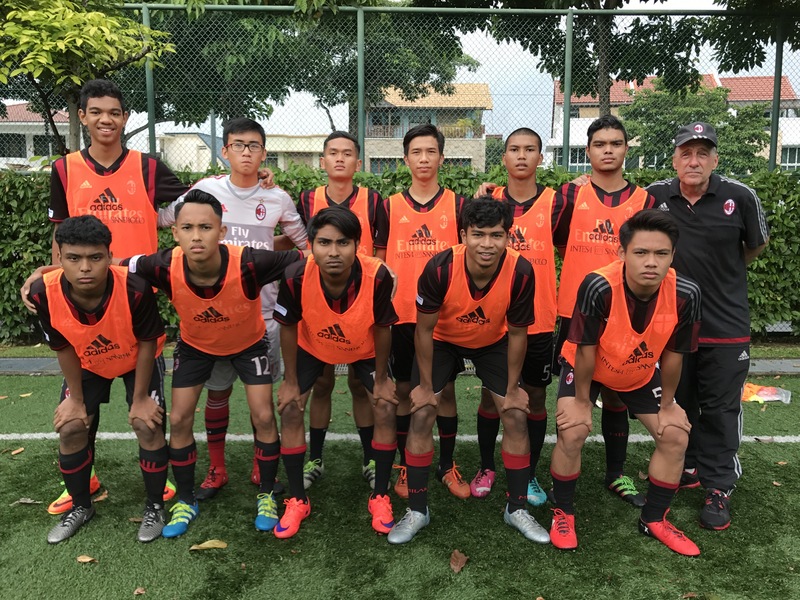 Over at Peirce Secondary, AC Milan Juniores scored a crucial 3-2 win against Knight Riders to maintain third spot in the league standings. 2 goals from Jordan, Darwisy and Man of the Match Muhammad Haziq meant that AC Milan maintain their impressive 6 match win streak. Week 11: Liverton are on Fire! 3 matches were held in Week 11 of the PSB Academy Saturday Premier League Division 1. Alaverga hosted AC Milan Juniores at Tanglin Secondary School in the 3pm kick-off. It was the first meeting between both sides this season as their earlier match up in Week 3 was postponed. It was the visitors who had the upper hand in the contest as they controlled the majority of the posession and created the better chances. AC Milan Juniores struck 3 times as they kept their opponents at bay to cap a convincing 3-0 victory. Over at Fajar Secondary School, rivals Basah Loh Na and Newton Heath clashed in an engaging contest. With their reverse fixture in Week 5 not being played, it was the first time each side had faced each other in the current campaign. And both sides went all out to claim the 3 points on offer. Muhammad Hairizam aka Izam opened the scoring for the hosts as they look to secure the win. Newton Heath displayed a dogged performance after the break and were rewarded in the 50th minute when Hykal Johari struck a fine equalizer for his team. It ended 1-1 as both teams had to settle for 1 point a piece. 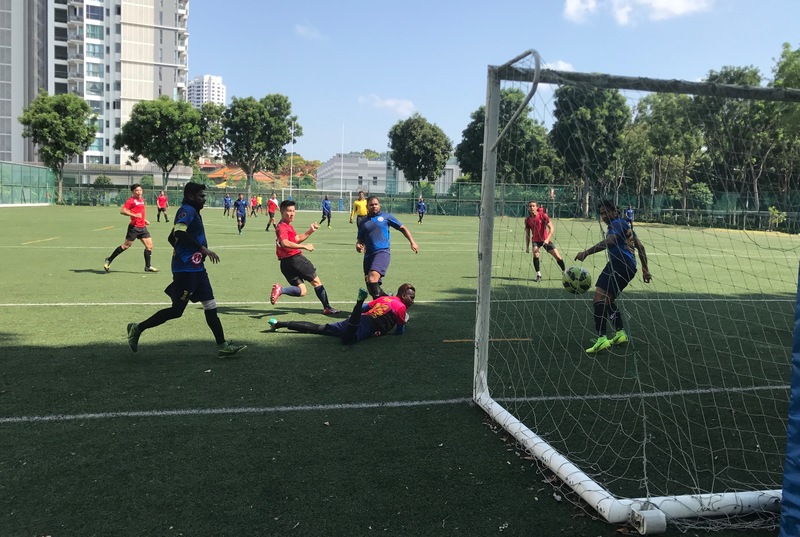 The match of the day was undoubtedly at Bedok South Secondary School where Liverton United entertained reigning X-Cup champions El Sueno. 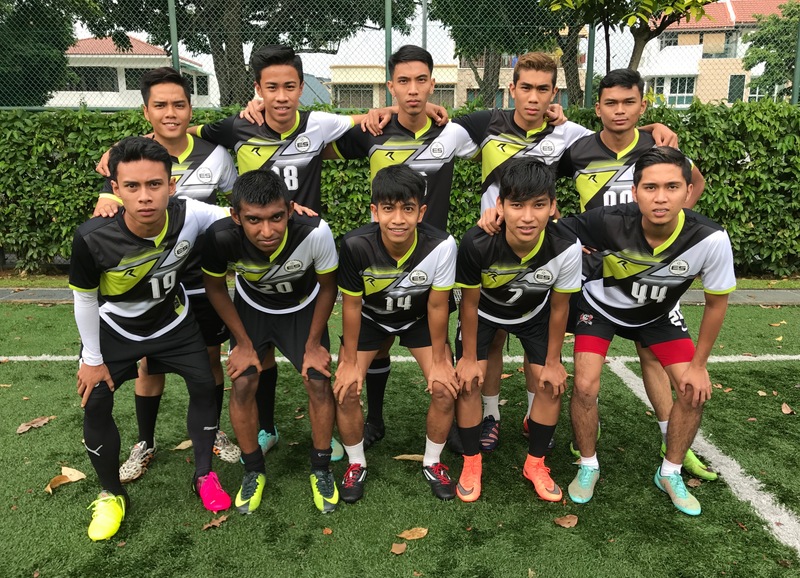 Having suffered a shock defeat the previous weekend against Basah Loh Na, El Sueno were raring to get back to winning ways against the side they won back in Week 2. With both teams bent on claiming all 3 points, the match was cagey and tensed. It took a moment of individual brilliance to finally break the deadlock as Liverton struck to take the lead. Despite the best efforts of El Sueno, Liverton held on to register a crucial 1-0 victory and condemn El Sueno to successive league defeats. The result also means that Liverton have won their last four league matches in a row. Week 10: Basah Loh Na upset new X-Cup champions El Sueno! Week 10 of PSB Academy Saturday Premier League marked the return El Sueno to league action as 2 matches were played over the weekend. Newly crowned X-Cup champions El Sueno hosted nemesis Basah Loh Na at Chua Chu Kang Secondary School. After being away due to cup commitments, El Sueno were raring to go in the league again. Standing in their way was their traditional rivals Basah Loh Na who have been in a good run of form lately. The game was an open affair with both sides on the offensive and hungry for the victory. Despite managing to get on the scoresheet, El Sueno were undone by a double salvo from Basah Loh Na’s Zulkarnai aka Atam as the visitors pulled off a deserving 2-1 win and gained all 3 points on offer. El Sueno will look to bounce back from the disappointing result and march on to the next fixture. Over at Fajar Secondary School, Newton Heath FC locked horns with AC Milan Juniores in another engaging contest. The hosts were coming off a huge trashing delivered to Alaverga the previous weekend while AC Milan Juniores have not been in league action since Week 6. The time away did not seem to have disjointed the visitors’ usual pattern of play as they seized the initiative from their more seasoned opponents. Newton Heath could not cope with the relentless waves of attack by their opponents and ended up picking the ball from the back of their net 6 times throughout the match. Although they did manage to score 3 goals of their own, it was still insufficient to reverse the score line as AC Milan Juniores ended up comfortable 6-3 winners. Week 9 of the PSB Academy Saturday Premier League saw 2 matches taking place over the weekend. Woodlands Ring Secondary School was the setting for the clash between Newton Heath and Alaverga. This was the second time these two sides have faced each other in the current season. Earlier in Week 4, Newton Heath easily dispatched Alaverga by a 7-1 scoreline. It was a similar case in this fixture as Newton Heath showed their supremacy by controlling the majority of the play. Alaverga offered little in terms of attacking options and were content on restricting their opponent’s chances. In the end, it mattered little as Newton Heath still found the back of the net seven times to register a comfortable 8-0 victory. 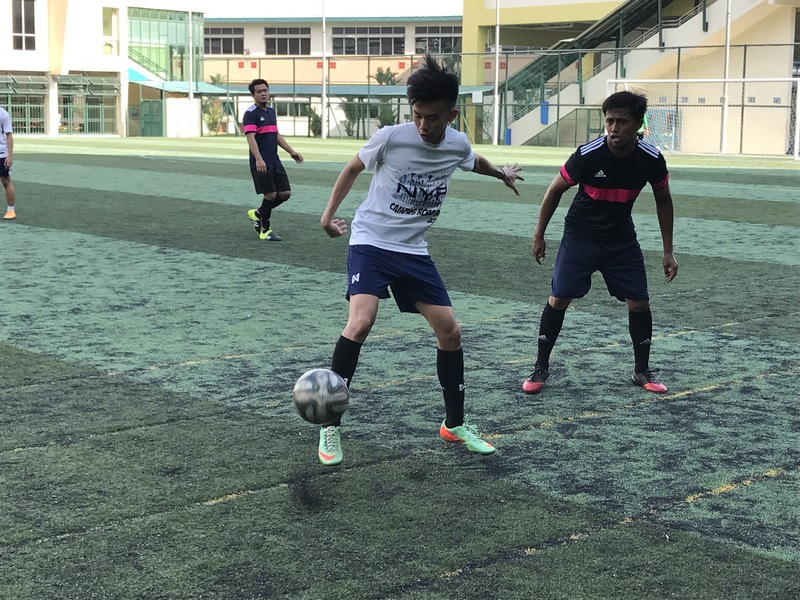 Over at Bedok Green Secondary School, Liverton United hosted Knight Riders in the late kick-off. While Liverton was not in league action the previous weekend, Knight Riders had a forgettable Week 8 as they were defeated 2-1 by Basah Loh Na. The hosts started the brighter of the two teams as they seized on every opportunity to mount attacks on the away side’s goal. The pressure paid dividends as they managed to score 2 fine goals to take the lead against their opponents. It stayed that way till the final whistle as Liverton took all 3 points with the 2-0 win. Only 1 match was played in Week 8 of the PSB Academy Saturday Premier League. It featured newcomers Knight Riders and seasoned campaigners Basah Loh Na. Both clubs were not in action in Week 7 of the competition and were itching to be on the field of play again. 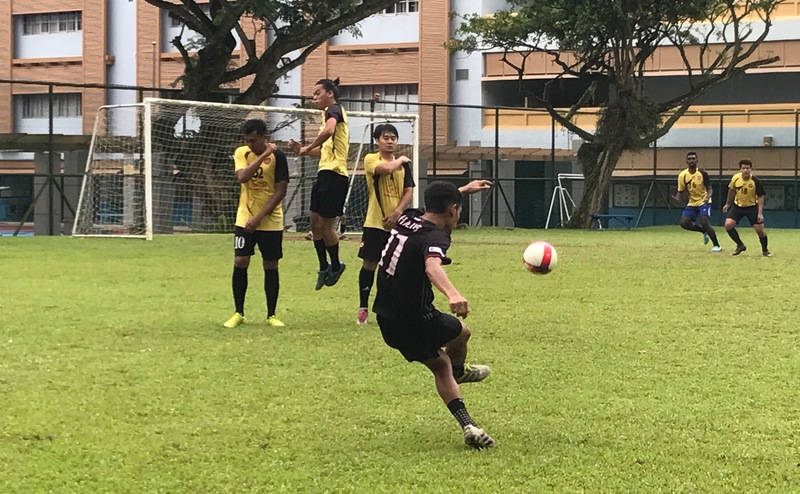 The match, played at Serangoon Secondary School, was a slowburner as both sides tested each other out in the opening quarter of the game. It was Basah Loh Na that was to gain control of the match proceedings as they netted twice courtesy of Mohammad Johan aka Joe’s double salvo. Despite pulling a goal back, Knight Riders were unable to draw level and ended up losing the match by a 2-1 scoreline. Week 7: Newton Heath slump to consecutive loss in the league! 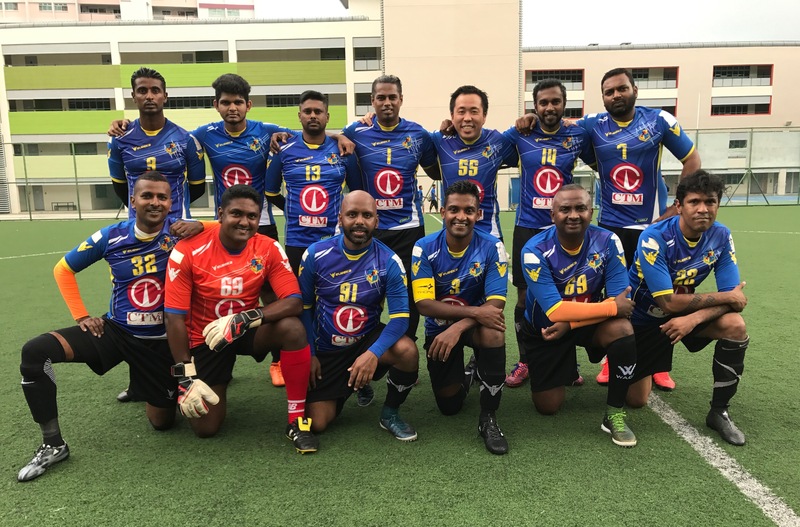 All the football action in the PSB Academy Saturday Premier League was concentrated at Bedok Green Secondary School as Liverton United took on Newton Heath in Week 7 of the competition. With no other fixture taking place, all the focus was on whether Newton Heath would be able to bounce back from their recent league loss. Standing in their way was a resilient Liverton United side who themselves were desperate for the 3 points to aid their ascend up the league table. Both teams started the game cautiously and rarely gave away much possession. Liverton soon began exerting their influence on the game and made inroads on the visitors’ goal. It was not long before they scored their first goal and never looked back after that. Newton Heath failed to capitalise on the limited chances they created and were further pinned back when Liverton struck their second goal of the match. It ended in favor of the home side as Newton Heath suffered a second league defeat in successive weeks. With league leaders El Sueno occupied with the X-Cup final, it was a opportune chance for Newton Heath to gain some ground in the race for the top position in the PSB Academy Saturday Premier League. Newton Heath headed to Fajar Secondary School to face AC Milan Juniores in the Week 6 tie. The home side were on a high themselves after disposing Liverton United 4-2 the previous weekend. And the match itself was all action as both sides went for the jugular. In the end, it was the youthful vigour of AC Milan Juniores that triumphed over the seasoned veterans Newton Heath by the score of 4 goals to 2. The win was AC Milan’s 2nd win of the season after a slow start to the league campaign. 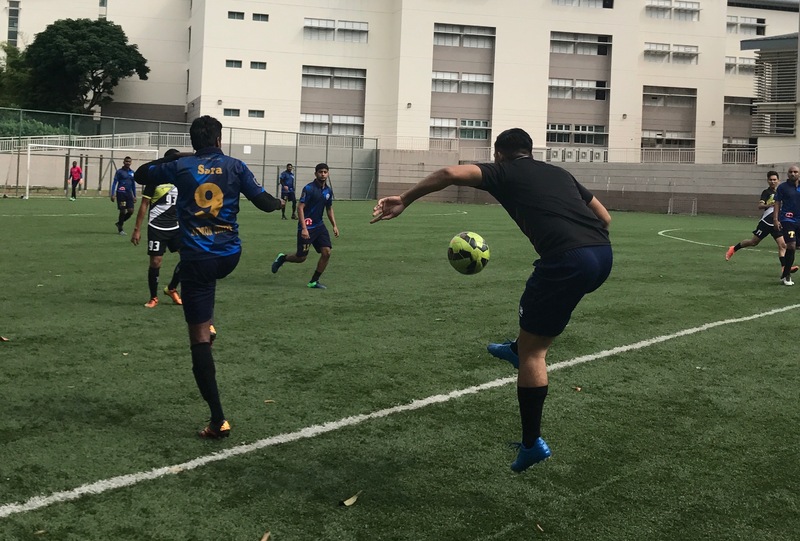 It was a different story over at Bedok Green Secondary School as Knight Riders hosted Leo Duros FC. Both clubs were not in league action in Week 5 as they sought to gain the 3 points to elevate their league positions. While both teams had their chances, neither delivered the killer blow to knock out their opponent. The match ended in a 0-0 stalemate as both defences held resolute and both teams had to be contented with the single point. Week 5: No stopping El Sueno! 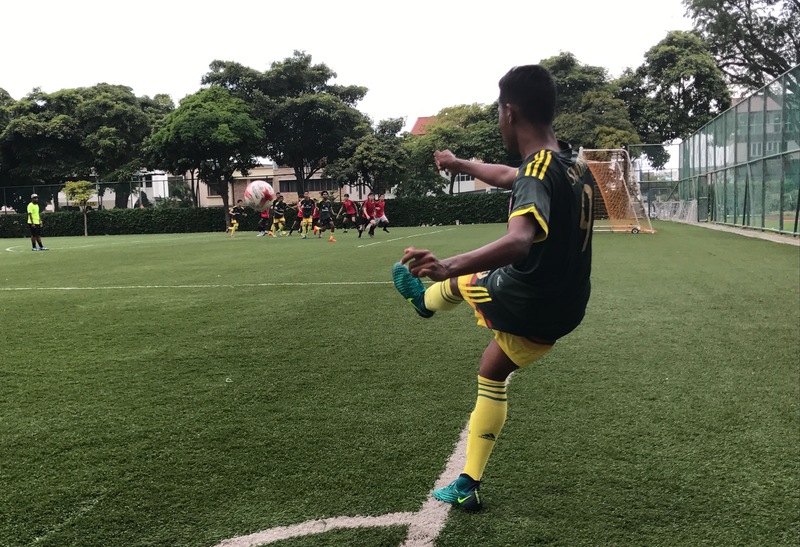 2 of the 3 arranged fixtures kicked off on Week 5 of the PSB Academy Saturday Premier League as the match between Newton Heath and Basah Loh Na was postponed. AC Milan Juniores took on Liverton United at Fajar Secondary School in the first game. While the home side was reeling from the defeat suffered at the hands of Basah Loh Na, the visitors were on a high from trashing Leo Duros the previous weekend. With such conflicting results, it was assummed that Liverton would pick up where they left off and grab another easy victory. On the contrary, it was the youngsters from Ac Milan that took the game to their opponents and delivered a sucker punch by nabbing a deserved 4-2 win to pick up their first 3 points of the season. Over at Woodlands Ring Secondary School, league front-runners El Sueno faced newcomers Alaverga hoping to claim all 3 points in their pursuit of the league title. Despite not being in league action the past weekend, El Sueno never looked out of pace against their determined opponents. Alaverga tried in vain but were unable to match strides with the home side and were soon on the back foot. El Sueno struck the back of their opponents’s net 5 times without reply to win comfortably in the end. The win puts them in confident mood ahead of their upcoming X-Cup final match in mid-April. Week 4: Liverton and Newton Heath romp to huge victories! 2 matches were played over the weekend of Week 4 in the PSB Academy Saturday Premier League. Bedok Green Secondary School provided the setting as Liverton United faced Leo Duros FC. 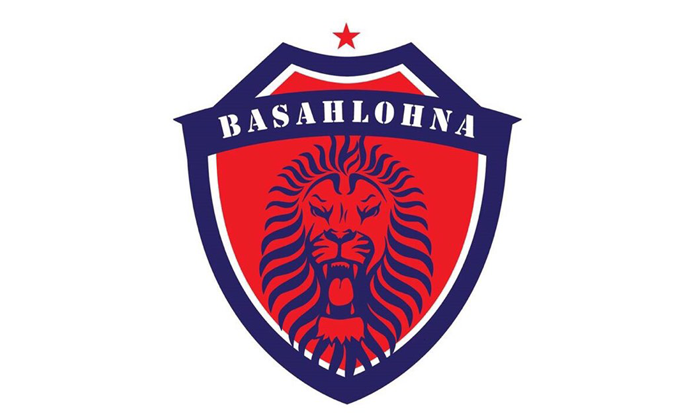 The home side were still smarting from the unfortunately loss they suffered at the hands of Basah Loh Na and were looking to do better against a Leo Duros side that were not in action the previous weekend. And Liverton started like a house on fire as they went into the lead in the very 1st minute of play. It was all one way traffic from then on as Liverton added further goals to their tally. Despite Leo Duros pulling 2 goals back, Liverton hot shot S.Prasath bagged himself 4 goals to lead his team to their first league win of the season with a 11-2 scoreline. Over at Kent Ridge Secondary School, new boys Alaverga went head to head with former X-League champions Newton Heath. Interestingly enough, this was Alaverga’s first match of the season after several postponements in their earlier scheduled games. Newton Heath on the other hand were on a high after recording a comprehensive win over Knight Riders the previous weekend. And the lack of match practice proved detrimental for the hosts as they were unable to maintain a consistent pattern of play throughout the match. The visitors seized on their uncertain performance to gain the upper hand and take control of the game. It finished 8-1 in favour of Newton Heath as they continue to rack up the points in the new X-League season. Week 3: Liverton feel robbed while Newton Heath begin with big win! The PSB Academy Saturday Premier League saw 2 matches being contested as the season entered its 3rd weekend. Over at Fajar Secondary School, former X-League champions Newton Heath started their season proper against surprise package Knight Riders. Having won their first 2 matches in the league, Knight Riders were hopeful of upsetting the former league winners. And they started the brighter of the two teams. However, Newton Heath’s pedigree and experience shone thru and they soon began bossing the game. 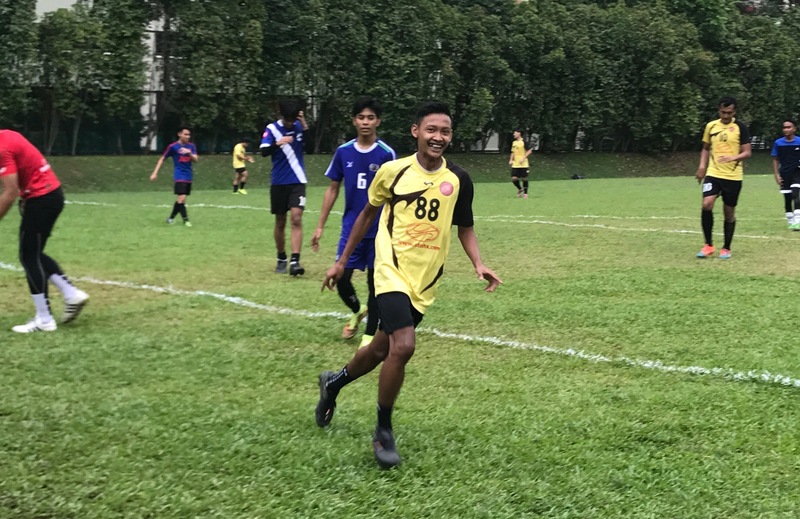 Led by hat-trick hero Bo Yanni, the hosts dispatched of their opponents with ease with goals coming from Nashrin Mansor (2), Arian Shahizan, Idzar aka Idz and Hisham Udin. It ended 8-1 in favour of Newton Heath who inflict the first defeat of the season onto Knight Riders. With the tie between Alaverga and Basah Loh Na postponed, Week 2 of the PSB Academy Saturday Premier League saw 2 matches being played out. Over at Bedok South Secondary School, surprise package Knight Riders played their 1st home match of the season against AC Milan Juniores. The visiting team was looking to bounce back from their narrow defeat to El Sueno the previous weekend and despite missing some key players due to National Service, they held their own against their tenacious hosts. The first half was well balanced and Milan Juniores edged out their opponents with 2 goals from Jordan and Reuben after Kai Sheng had replied for the hosts. It was more of the same after the interval however the visitors were let down by poor finishing as most of their shots went astray. Knight Riders rode their luck and even managed to score 2 further goals as a result of defensive errors in the Milan Juniores backline. It ended with a 3-2 win for Knight Riders as Milan Juniores suffer a second consecutive loss in as many matches. “ Lesson learnt. Its back to the training ground for the boys to practice shooting” said the Milan Juniores team manager after the match. The 6th season of the PSB Academy Saturday Premier League got off to a scintillating start with 2 matches being played that included El Sueno and league debutants AC Milan Juniores facing off in a blockbuster opener. 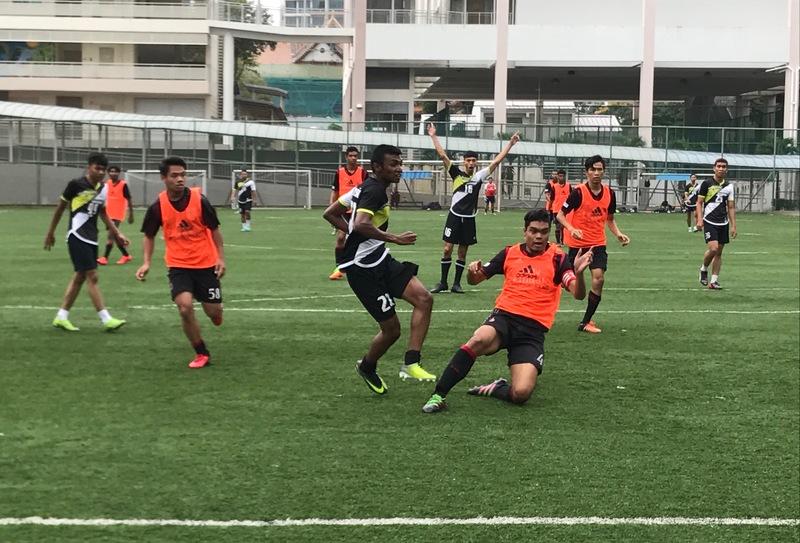 Bedok South Secondary School provided the setting for the first league meeting between X-League Cup finalists El Sueno and the highly touted AC Milan Juniores. And the match certainly did not disappoint. The more established hosts were 2 goals to the good as their opponents struggled to find their best formation and strategy in their maiden match in the X-League. However, in the 17th minute Juniores’s Haziq won possesion and shot across goal and found the net to half the deficit going into the break. The second half couldn’t have started any worse for the visiting team as they found themselves 4-1 down within 7 minutes of the restart. However Juniores were not prepared to go down without a fight. A tactical switch was made around the hour mark and it seemed to galvanize the whole team. El Sueno found themselves on the back foot as they had to contain the chances created and shots on target by their opponents. Two quick goals by Ghazali and Haziq brought the scoreline to 4-3 and the visitors went all out in search of the equalizer. However, they were sucker punched by a late counter attack as El Sueno struck with virtually the last kick of the game to end the match as 5-3 victors. “It was a good opening match against a very strong team. There are lessons to be learnt from this and you can be sure that Juniores will be ready for their second encounter. FORZA MILAN!” shared a bouyant AC Milan Juniores team manager after the match. 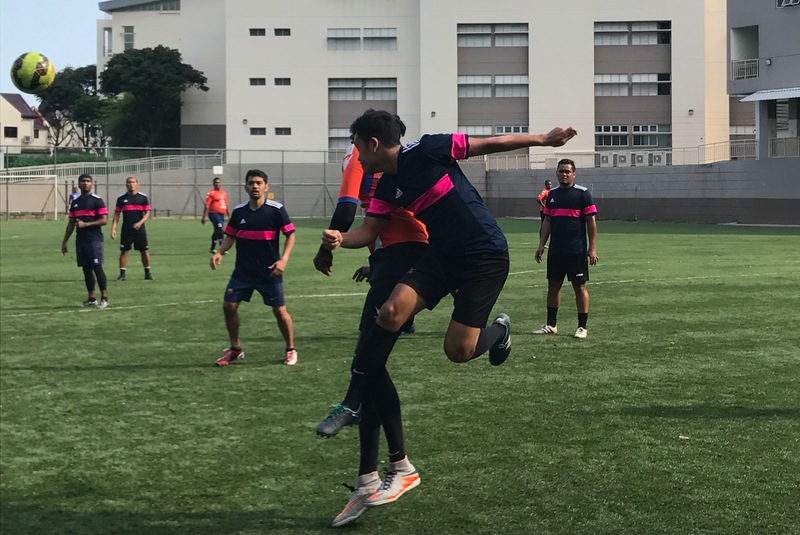 In the other league fixture, El Gremio welcomed the challenge of league newcomers Knight Riders at Bedok Green Secondary School. It was perhaps a case of underestimating their opponents as the hosts struggled to match their opponent’s raw tenacity and will to get their first win of the season. Knight Riders grew in confidence as the match wore on and eventually succeeded in netting 2 goals to cancel out El Gremio’s solitary strike and began their X-League journey with a slim 2-1 victory.